What do Coretta Scott King, Sinéad O’Connor, “Weird Al” Yankovic and Albert Einstein all have in common? They all are (or were) vegans. A vegan is someone who does not consume animal products. Just as vegetarianism has come into the mainstream, veganism is also gaining in popularity. If you’re not ready to give up your bacon or burgers or Buffalo wings quite yet, that doesn’t mean you can’t try some vegan recipes. The following recipes are so tasty, you won’t even miss your beloved meat. Think that veggie burgers can’t compare to their beefy counterparts? Think again! 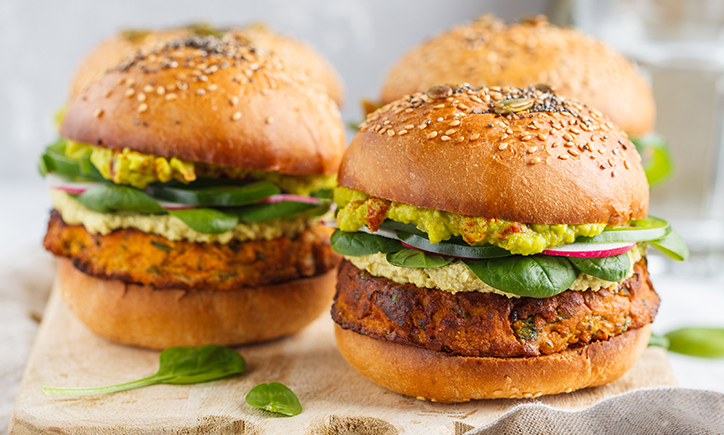 Once you make sweet potato and black bean veggie burgers, you’ll be a believer. Finish the burger with a smear of our vegan Tomato Basil or Curry and Bell Pepper pâté, and it will be hard to top! Who says a sandwich has to be filled with meat? Try a vegan BLT where the “B” is eggplant bacon, which is simply thin slices of eggplant roasted to a smoky flavor. Since mayo has eggs, substitute it with one of our spreadable vegan pâtés instead. Pull a switch on pulled pork with jackfruit. Its texture is similar to that of shredded pork. Toss with some barbecue sauce, spread some vegan pâté on the bun, and you’ve got yourself a succulent and substantial sandwich. Avocado toast is trending now, but herbed mushroom toast is making its mark. Spread garlic toast with our Earthy Mushroom Pâté for a new toast taste sensation! Roasted brussels sprouts have gained in popularity, but they’re often made with pork or bacon. For a vegan spin on Brussels sprouts with all the flavor but none of the meat, swap out pork with our vegan Tomato Basil Pâté. Craving a quesadilla? Hold the cheese! For a vegan version, substitute cheese with hummus or one of our vegan pâtés. Pass the pasta… and pass on the meat. Make mouthwatering mushroom ravioli using our Earthy Mushroom Pâté as a delicious shortcut for the filling. Stuff shells with our Tomato Basil Pâté, then smother in a vegan pesto sauce. What comes to mind when you think about putting together a cheese board? It’s probably cheeses, grapes or other fruit, a variety of crackers and maybe a little mustard on the side. 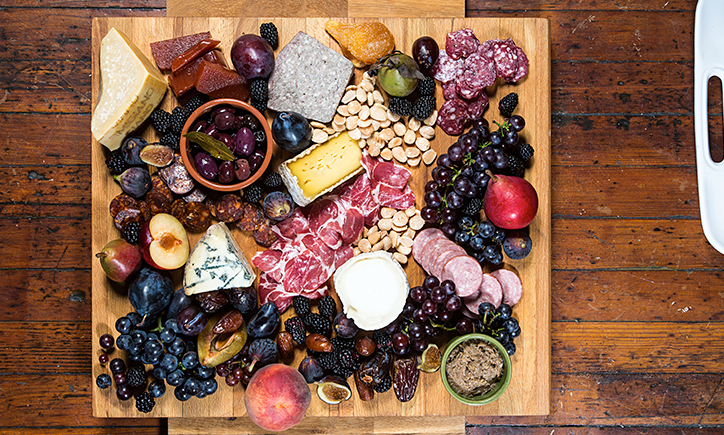 For a truly impressive cheese board, add charcuterie and pâté to the list. With beef, ham, sausage, turkey plus vegetarian and even vegan pâtés, you’ll have something for everyone. Plus, you’ll please those who put a priority on protein in their diet. So where do you begin? First, you need a board that’s large enough to hold all the goodies. Don’t have a cheese board? A cutting board will do. Or any oversized serving platter. For a sophisticated presentation, use a slab of marble (just keep in mind that this will be heavy, so you may want to prep it where you’ll actually be serving it). Start by selecting your cheeses. You’ll want to serve a variety of textures, from soft to hard, and a variety of flavors. Don’t forget that not all cheese is made from cow’s milk; expand your horizons with cheese made from the milk of goats or sheep. Next, choose the charcuterie. We hate to tell you, but pepperoni is so yesterday. Instead, go for hard, cured sausages rich with flavors such as savory smoky, bold garlic or sweeter fennel. Because bacon is all the rage, you might want to add several crispy strips to your cheese board. To mix up the texture, include spreadable pâtés on your cheese board. Choose from a variety of meats such as chicken, pork, veal, duck and pheasant. Vegetable pâtés can feature eggplant, mushrooms, roasted peppers or other veggies. And, yes, vegan pâtés are available, too. Think outside the cracker box when choosing your carbs. Breadsticks, sliced baguettes, pita chips and gluten-free nut crackers are good choices. Be sure to offer a few herbed oils for dipping. Don’t overlook the details; it’s all the “extras” that make a cheese board extra special. Consider salty olives, crunchy nuts, sweet dried fruit, tangy chutney. For a finishing touch, garnish with sprigs of parsley or other herbs. Lastly, be sure to have both red and white wine on hand, as well as non-alcoholic options such as sparkling cider. Then pour yourself a glass and relax; you’ll soon be busy accepting compliments from guests on your eye-pleasing and mouth-watering cheese board. In America, traditional comfort foods include chicken soup, macaroni and cheese, meatloaf and mashed potatoes, grilled cheese and cream of tomato soup, and of course, ice cream (straight from the container). Southerners can’t get enough grits, fried chicken or biscuits and honey. In Europe, comfort foods range from the universal — pizza, French fries — to more regional-based favorites. Of course, in England your fries will be served with deep-fried codfish, better known as fish and chips. And while waffles and ice cream may be a go-to comfort food in the U.S., in Belgium the topping is more likely to be chocolate, of course. 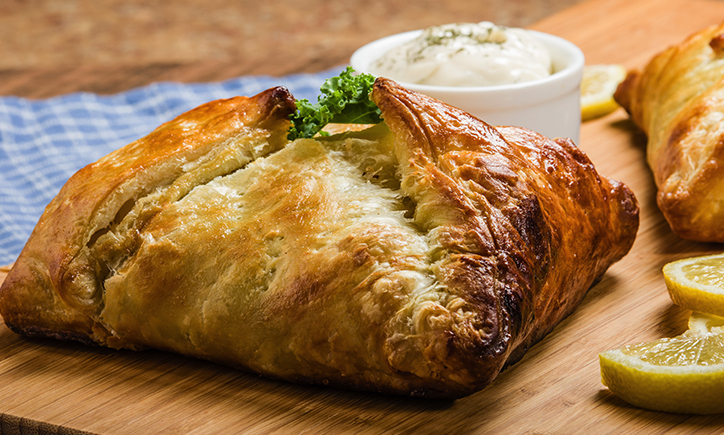 Residents of the Czech Republic, for instance, will reach for a slice of homemade apple strudel when they’re seeking solace from food. Austrians also favor strudel or the traditional wiener schnitzel, a thin veal cutlet that’s breaded and fried. In Germany, the closest thing to mac and cheese is käsespätzle; yes, it’s made with spätzle, soft, handmade egg noodles often shaped like sparrows. You also can’t go wrong with bratwurst (and a stein of beer to go with it). In Ireland, however, you’ll be reaching for a pint of Guinness. The Polish people can’t get enough pierogi, which are boiled potato or cheese-filled dumplings. Travel to the Ukraine, and your soup may be served hot or cold — if it’s borscht (beet soup), that is. In Hungary, ask for a bowl of paprika-spiced goulash, a hearty stew of beef, potatoes and vegetables. 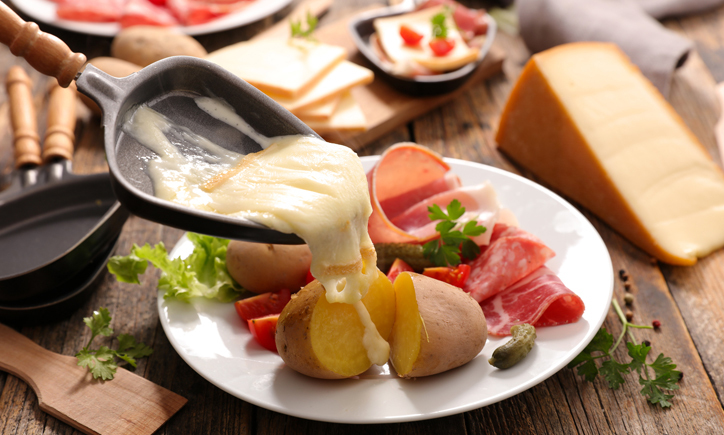 The Swiss find comfort in raclette, melted cheese that’s usually scraped off a griddle and often served with potatoes. In Denmark, yes, there are the Danish pastries. But the comfort food of choice is Smørrebrød, an open-faced sandwich of dark Danish rye bread, topped with shrimp and egg or cured fish. Swedish meatballs are popular in — you guessed it — Sweden. A blend of beef and pork, these meatballs are typically seasoned with nutmeg and ginger. Cravings in Holland are more basic: They go for Gouda on toast. For an even simpler treat, try Gouda on crackers. In Greece, Moussaka — a dish of eggplant, potato and ground meat, topped with béchamel sauce — is a must. The French love their charcuterie, croissants, crêpes, pâtés, mousses and soufflés. 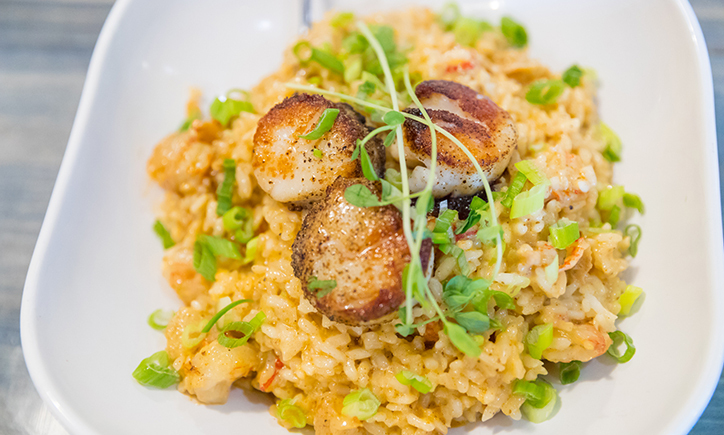 The Spanish pine for paella, a saffron-infused rice dish made with bits of chicken, vegetables, seafood, or all of the above (accompanied by a pitcher of sangria). And it’s no surprise that in Italy a common comfort food is pasta. Doughy gnocchi are particularly popular as well. When you go on holiday, the only things you should be thinking about are having the sun on your toes and the wind in your hair. The last thing you want to do is get to the beach and realize your stomach is growling. We’ve gathered some of our best and most beach-worthy snacks and lunches to make ahead for smooth-sailing this summer. Here’s a little secret: pureeing any of our pâtés with a couple of tablespoons of Greek yogurt is an easy way to make a delicious dip, perfect for veggies, pita chips, or cheese. One of our favorites, the Mushroom & Artichoke terrine, works particularly well. Simply combine the pâté and the yogurt and blend until smooth. Pour evenly into the bottom of 12 oz. plastic cups. Place vegetable sticks directly into the dip – sliced bell peppers, carrots, and celery are all great options. For more diversity, try it with fresh mozzarella balls, cheddar cubes, cherry tomatoes, pretzel rods, or pita chips! Our new Olive Oil & Sea Salt Crackers are made of purely simple ingredients – exactly what you want for your kids and yourself. • Veggies: Hummus, sliced cucumbers, tomatoes or avocados. We all remember our parents making us pinwheels for lunch during the summer. Somehow, they were just more fun to eat than a regular sandwich or wrap. Now it’s time to bring them back. Simply fill your favorite wrap with your favorite sandwich components, roll-up tightly and slice into bite-sized pieces. Using more elevated ingredients such as spinach wraps, grilled veggies, and of course, our decadent pâtés, make them perfect for a simple yet sophisticated beach lunch. One of our favorite combinations is our Truffle Mousse, with grilled onion and shredded smoked gouda. And for the kids? Go classic with peanut butter and jelly pinwheels or try something new and fun. 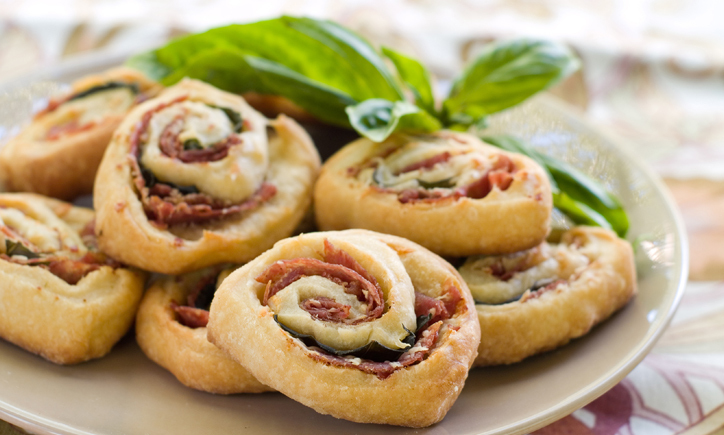 We love pizza pinwheels – a classic tortilla wrap with pepperonis, shredded mozzarella and just a touch of marinara (we don’t want them to be messy!). Sometimes you need a little something between lunch and dinner. We want to share some of our favorite snack recipes from some of our friends across the country. Roasted Chickpeas. Easy to grab a handful of throughout the day, easy to make and easy to love. Homemade Chex Mix. It’s better than store bought, because it’s customizable to your personal preferences. Chocolate Banana Pops. We all need something sweet now and again – these banana pops hold up nicely in a cooler, and are a more healthy alternative to ice cream. Summer salads are one of life’s finer things. 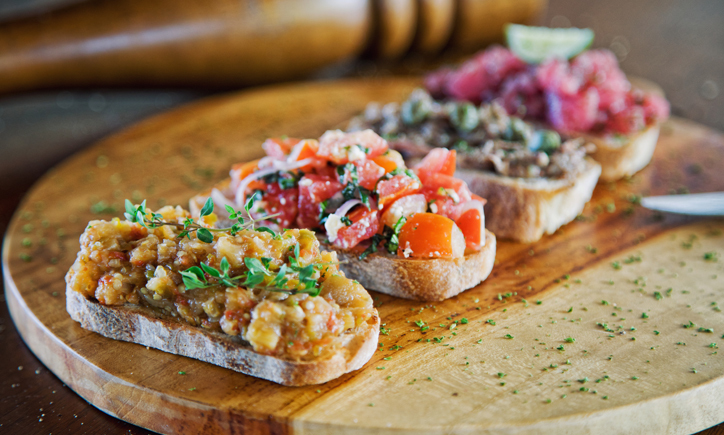 When you pair them with another of life’s finer things, such as our pâté – it’s a pure delight. Some of our favorite summertime combinations are shown below. Don’t feel limited by our recipes, however! Pairing pâté s with fresh fruits and vegetable is easy. We’d love to hear how you enjoy your pâté s in the summertime. Tag us on Facebook or Instagram and share your creations! When we think of summertime salads, we think of bright, fresh flavors. For this salad, we bring together three of the best things about summer: raspberries, avocados, and mangoes. To make it hearty enough for a dinner, we use our Chicken Ballotine. Made from chicken breast and hints of tropical fruits and pistachios, this pâté makes the perfect summertime protein. 1. To make the dressing, puree ½ cup raspberries, oil, vinegar, garlic, salt and pepper in a blender until combined. 3. In a medium bowl, combine mango, avocado, remaining raspberries and onion. Pour the dressing on top and gently toss to coat. 4. Top each with pistachios, and enjoy! Tart cranberries, nutty pecans and savory Chicken and Veal Pâté come together to create our go-to salad for hazy summer afternoons. 1. In a small bowl, stir together the vinegar, mustard, sugar, salt, and pepper; mix until sugar and salt dissolve. Whisk in olive oil. 2. In a salad bowl, toss together the greens, cranberries, pecans, onions, and cheese. Top with the Chicken and Veal cubes. Drizzle with vinaigrette before serving. 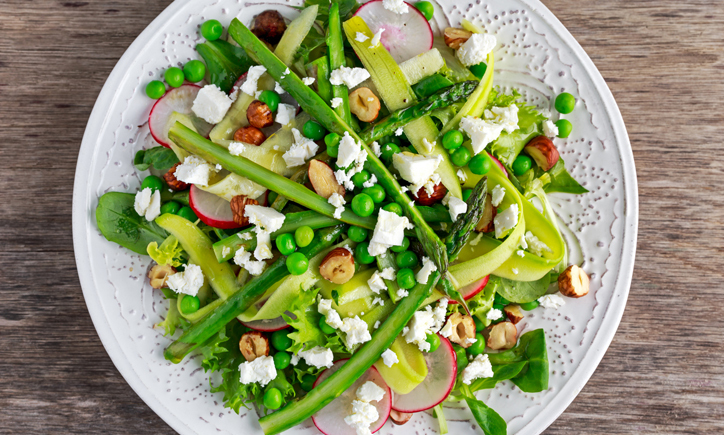 The Green Goddess salad is one that everyone has their own variation of and recipe for. 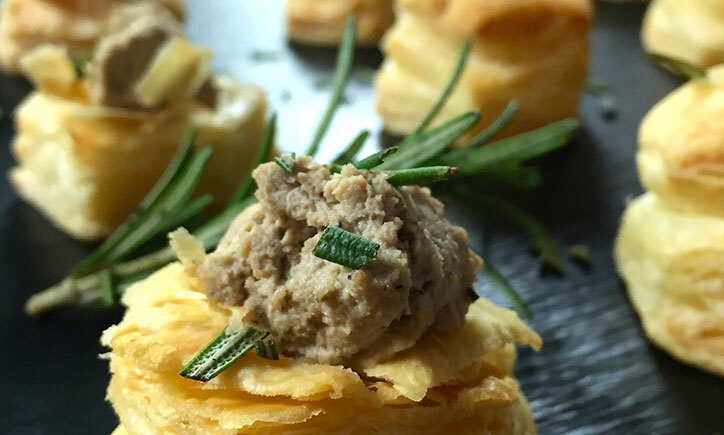 Some people put chickpeas, others put chopped bacon, we use our Herb de Provence Chicken Pâté . The creamy avocado and crunchy fresh greens mesh perfectly with the fresh blend of herbs in our pâté to create a more sophisticated take on the salad. Combine and toss the ingredients, top with your favorite Green Goddess dressing. You can find one of our favorite recipes, here, if you’d like to make your from scratch! Caprese salad are almost synonymous with summer – light, refreshing and filling, the classic combination of basil, tomato and mozzarella is always a good choice. Our rendition gives the traditional salad a modern twist – using our Tomato Basil Pâté and a handful of fresh spinach. Alternate placing slices of Tomato Basil and mozzarrella on a plate. Drizzle with your choice of balsamic and garnish with fresh basil.